It’s only 8.30 in the morning but this place has been busy as a bee. 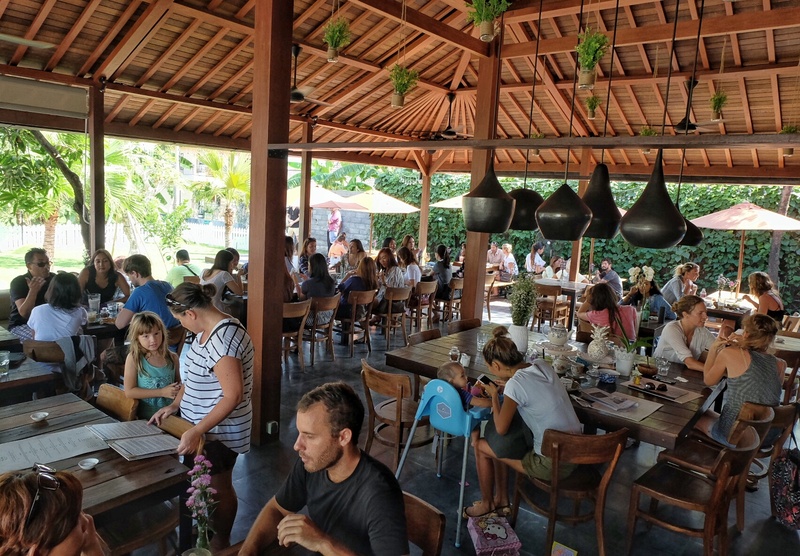 No doubt Milk & Madu is one of Canggu’s most favorite breakfast and brunch spot, also I think it’s a wonderful place to spend time with family and friends just to sit around on their comfy sofas, enjoying the breezy air with its relaxing ambiance, pleasant service and good food. 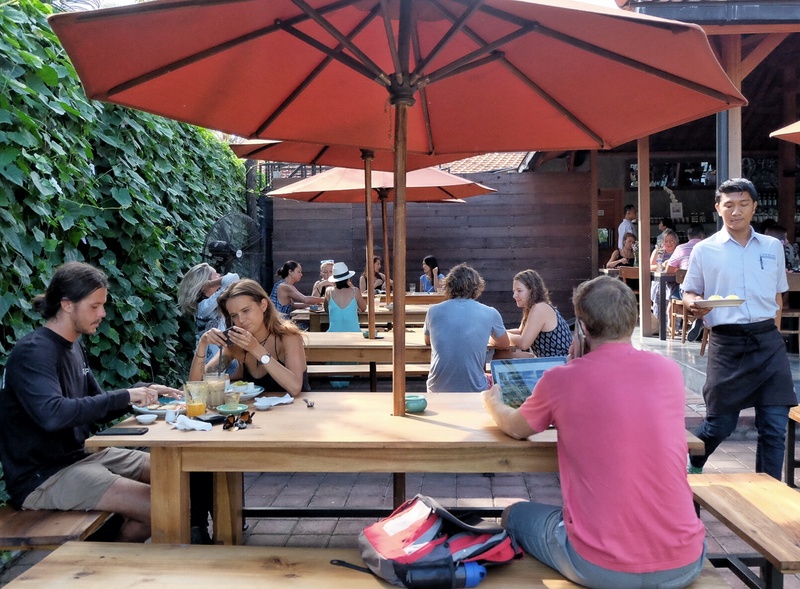 I notice something different here, oh yes, they add a small lawn next to the cafe and put fences around it. 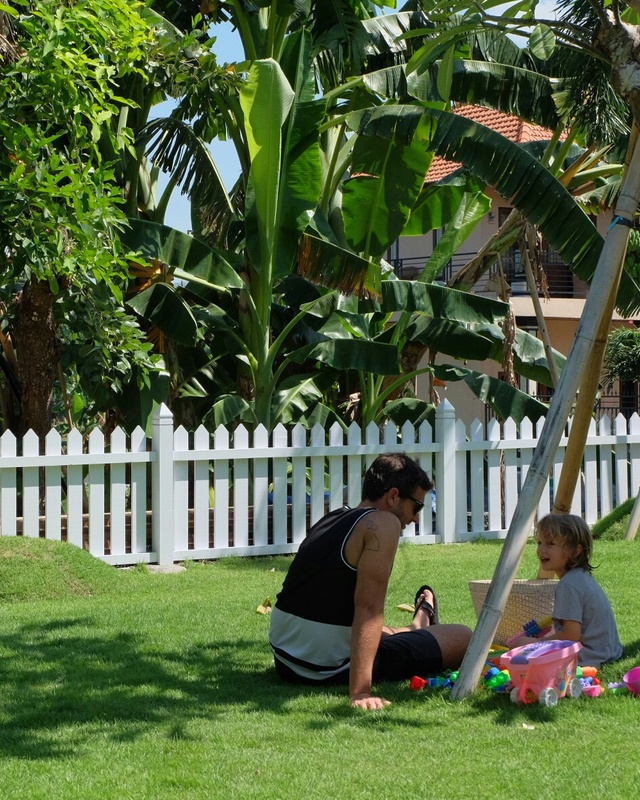 I think it’s nice for people who have kids, so their little ones can run and play around the lawn. 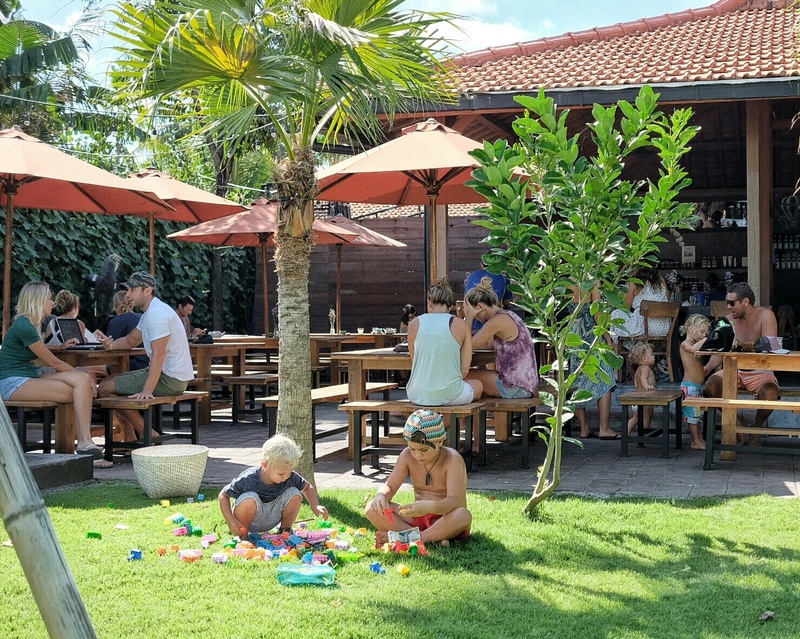 I think this is one of the kids friendly cafe in Bali, not only they serve healthy nutritious meals for kids, they also put some thoughts for kids by providing space for them to play and some toys to play with. Talk about the food itself they sure have some scrumptious selections here, like this Boss Omelet (70K), kinda like they bring omelet into another level, filled with grilled zucchini served with cherry tomato mint salad and marinated feta. First I try to eat the omelet with the cherry tomato salad and it adds some light, fresh and minty flavors to this smoky omelet, then when I try to eat it with the feta cheese it give bold flavors to it. When I combined all components it creates wonderful combination to my palate. Or perhaps you craved for something sweet, Baked Breakfast Berry Crumble (50K) it was a beautifully spiced crumble with sweet toasted coconut and oat, layered with sweet berries then ends with tangy homemade yoghurt. 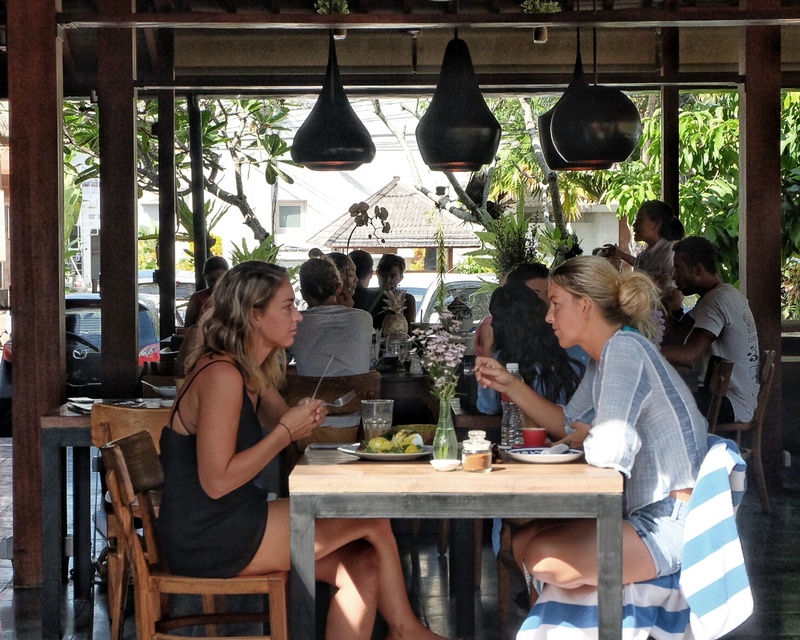 Something simple like coffee or tea, or maybe some fresh juice or smoothie accompanied with beautiful selections of homemade cakes from their showcase. 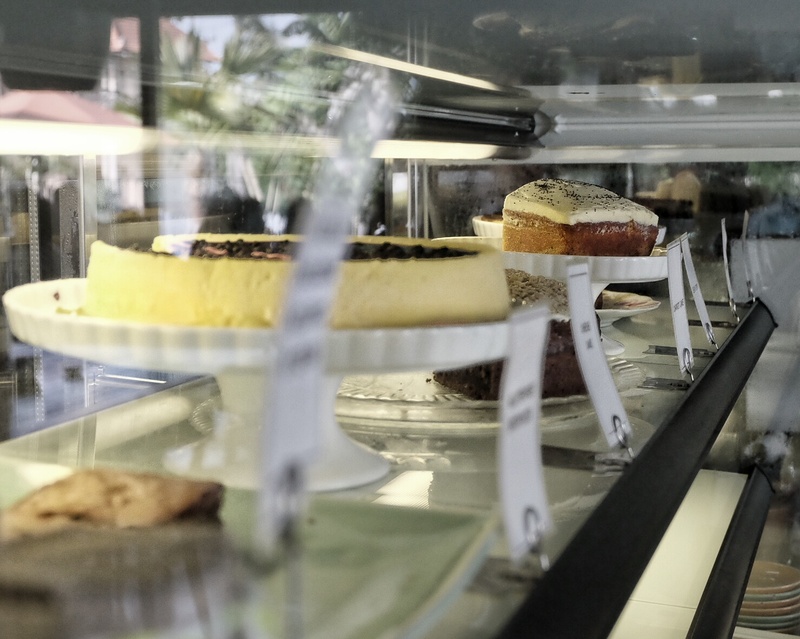 One of my favorite is their Cheese Cake, it has this complex flavor, its sweet, tangy and fruity flavors with its creamy texture. Or something classic with spices like their Carrot Cake. 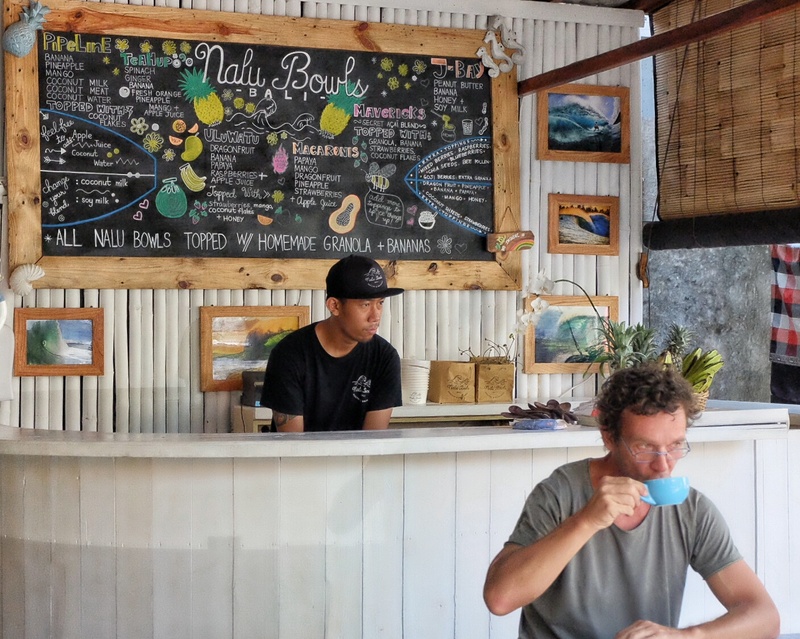 They also team up with Nalu Bowls and open a Nalu Bowl shack in front of the café. Serving smoothies in bowl with all goodie and healthy fruits combines with some delicious and crunchy toppings definitely a fun and healthy breakfast. 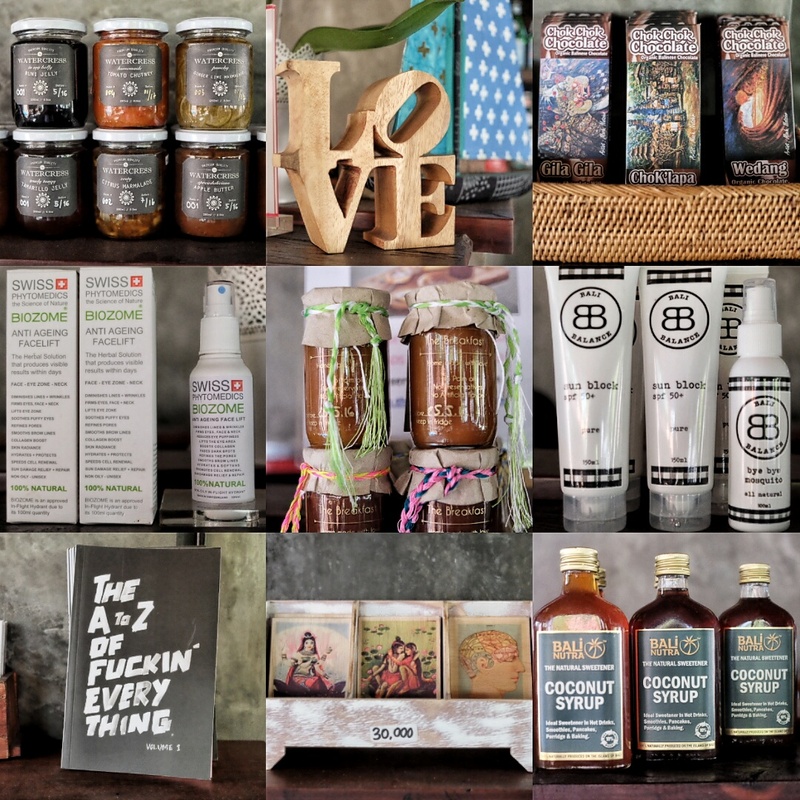 And make sure to check out their deli shelves, they have some good selections of homemade jams, spreads and other products made from natural ingredients and no preservatives. 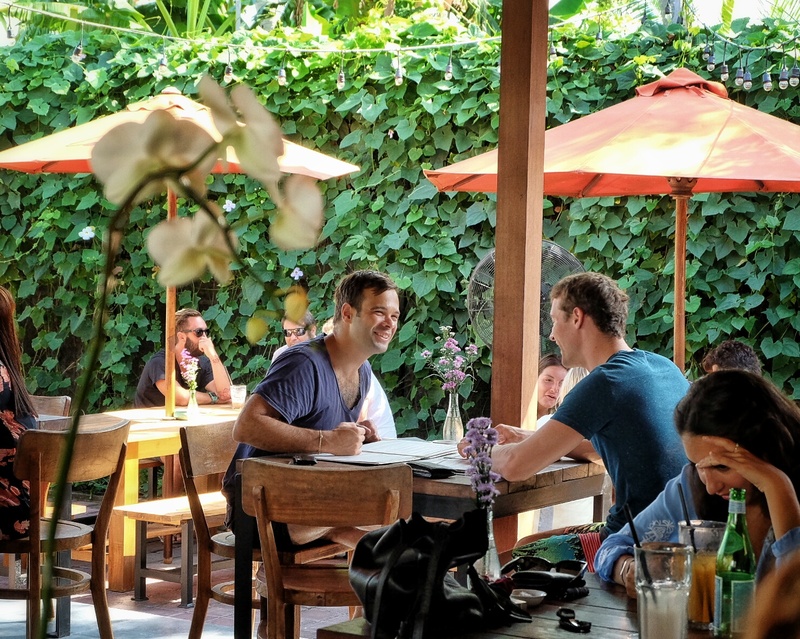 So either you’re looking for some vegetarian food, beautiful egg breakfast selections, and healthy yet tasty dishes or just as simple as pancake with syrups, you can find it here at Milk and Madu.